Let's talk about core training. One thing that all athletes need is core strength – why? Because most if not all sports require the efficient transfer of force from the ground up through the body as in running, jumping and throwing or striking. We all know that athletes need a strong torso to transmit power but the limiting factor in this, is how well the upper body is connected to the lower body. The torso is the center of the body’s power any excessive movement through unstable joints will lead to what I call a power leakage. By strengthening the torso the athlete connects all the joints of the spine and hip into a solid block capable of developing and transferring the force which is created by the leg muscles through to the trunk and arms or potentially any implement in your hands. Improving the strength and the activation patterns of the deep and superficial muscles of your torso is possible through core training. There seems to be a whole industry devoted to the concept of core strength and its associated training programs. Despite the lack of any real evidence that this type of training is particularly effective on its own and the prevailing advice is that any work in this area should be an integrated part of any training program and not done in isolation. So when an athlete begins to look at core strength, they should do so keeping in mind that they are trying to train the body as a whole instead of targeting certain muscle groups for development. So in this type of training, you should be careful that all the muscles in a movement are activating as they should, that body segments are aligned and that appropriate muscles are strong enough for the task at hand. In this way core strength training becomes an integral part of the complete workout and fit right into the event or sport you are training for. Compared to some traditional training methods, including core strength training routines to the training program will add variety to the training session. Here are just a few core strength training methods to enhance your workouts. 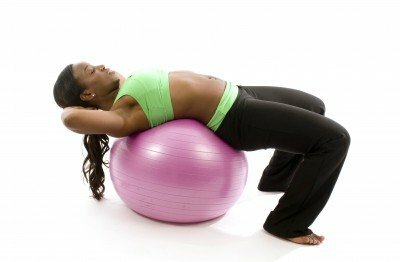 Stability balls: The exercise ball can be used in many ways to challenge your stability, balance, and core strength. BOSU ball: This piece of training equipment can be used not just for cardio, but for sports training as well. Wobble board: Including a wobble board in your training session would give you coordination and balance. Yoga/Pilates: This exercise challenges the flexibility and balance of the body, along with torso strength. Foam roller: A foam roller will help you increase your balance and body awareness. People generally think that core strength training is used to get six pack abs and if that is all you want to do with the exercise, that’s fine. The truth is that if core training is done properly, all the muscles going from the upper back right through to the hips and feet are trained with equal focus. Having promoted the use of training as a whole body training method, on its own core training can also help back pain patients, and reduce the risk of back injury for athletes. Core training does not just improves the looks of the mid section, it also protects against strains. And with the right type of training, you will notice an improvement in your posture. Core balance training focuses on the core muscles which functions as stabilizers while performing activities that challenge the musculoskeletal system. Your core fitness training is incomplete if you you are unable to activate certain muscles deep in your trunk. In this article, find out what they are and how to turn them on. With so many core strength training exercises available to athletes it's difficult to choose which ones are the best. Find out how the best athletes make the right choice for them and their sport. The Swiss ball is just another tool to help you strengthen your core. Used properly, it can help you develop your core strength as it relate to your upper or lower body. Examples of core strength exercises are demonstrated. Core training is more than just doing sit ups and back raises. Read this article and you never have to ask the question - what is core training? Core flexibilty training improves your range of movements, improves your power and improves your technique. Do this simple exercise and move ahead of the competition. From "Core Training 101- The Basics" To "Faster, Stronger, Better – Your Shortcut To Improved Athletic Performance"